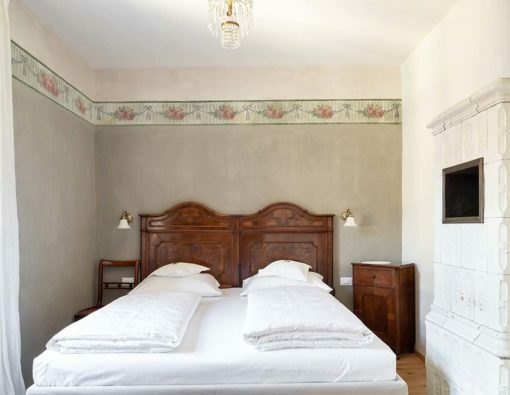 Arrive in Merano and feel at home. 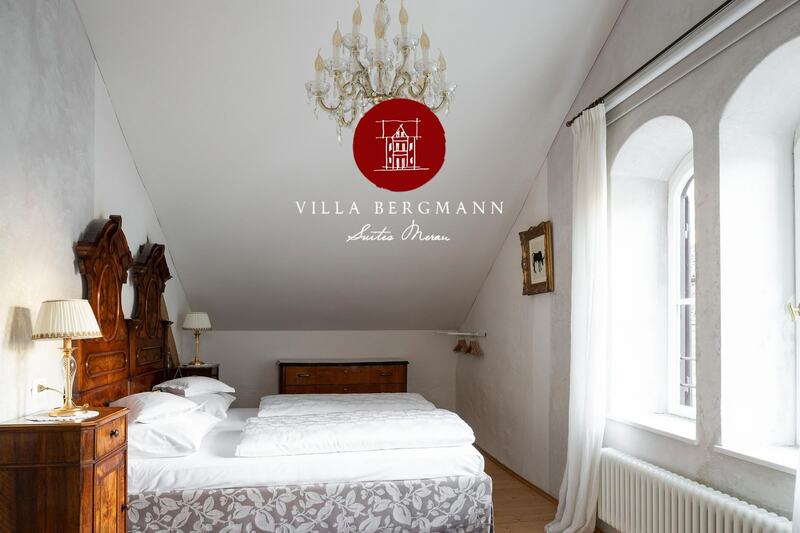 Based on environmental and health aspects and with a keen eye to detail, the suites in Villa Bergmann in Merano have been turned into luxury holiday apartments. 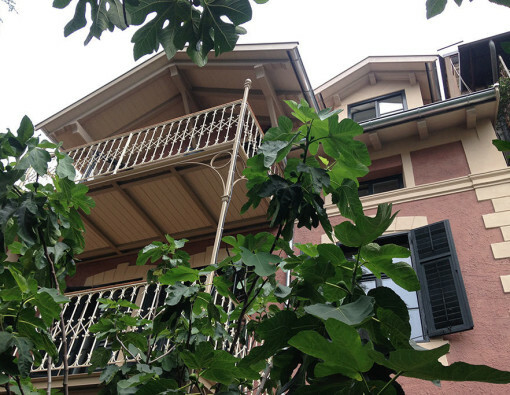 Each suite has a character of its own, which is also reflected in the names they have been given. But all are pervaded by the same atmosphere in which history, tradition and modernity melt into one. The prices listed here are per suite, per night. The local tax and the final cleaning has to be added. NEW!!! We are Partner of Therme Merano and you get 20% Discount on entrance fee to Pools & Sauna, and 10% on the treatments and fitness!!! * Rooms are not cleansed every day. Arrival / departure You can check in to your suite by arrangement. Please inform us about your supposed arrival time. We kindly request that guests vacate their suites by 10,30 am. Parking facilities Our Villa is located in an area with limited traffic access, which is also monitored by closed-circuit TV. We kindly ask you to fill in the form and to send it to us before arrival. 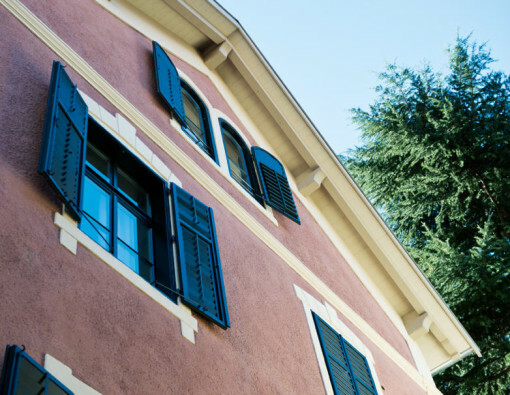 We will arrange the special permit (as soon as we get the filled in form) for coming in front of the Villa (via Monte San Zeno and Porta Passiria) for loading and unloading your luggage. This permit is also valid to go to the garage on Piazza Rena (via Ponte Posta) where we have 3 parking boxes for you (reservation needed). Please call about 1 hour prior to arrival in order to give you the code for having access to the garage. Price: € 15,00/day. You can eventually also park in the “blue”area in Via Monte San Zeno, Piazza Steinach and Via Innerhofer, if you find space. The price for this is € 3,00/day, but you have to go to the local police office to get the permit – you need to fill in the form. Attention: the office is not open during the weekends and on holidays. 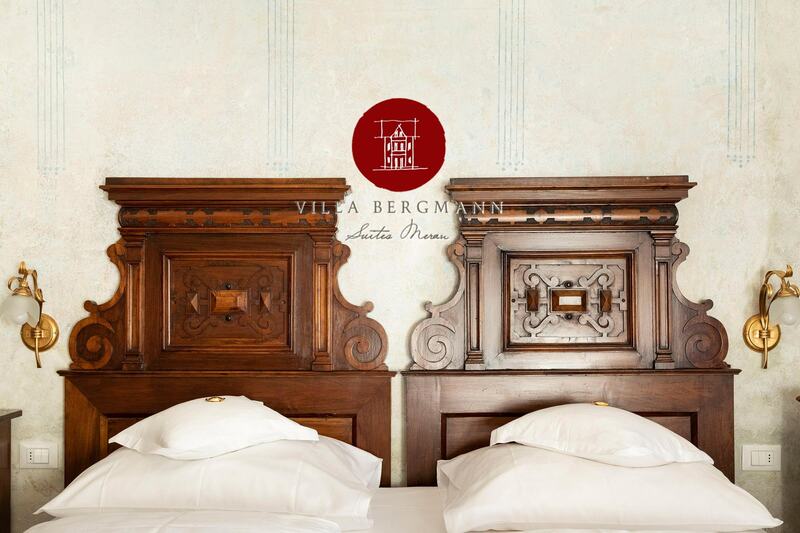 Pets We regret that pets are only permitted in Villa Bergmann on request. No smoking Please note that there is no smoking throughout the building. We kindly request that guests smoke only outdoors. 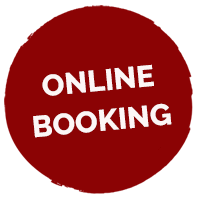 Bookings A down payment must be made to the value of at least 2 days of your planned stay in order for the booking to become valid and binding. Payment options We accept cash, Bancomat/EC cards and credit cards (Visa, Master/Eurocard, American Express). All suites include satellite TV, free internet access via WiFi, and a hairdryer. 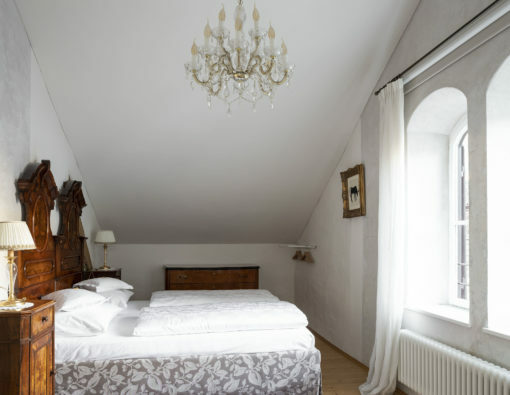 Cots (€ 15,00/night) and highchairs are available on request (please state in your booking). 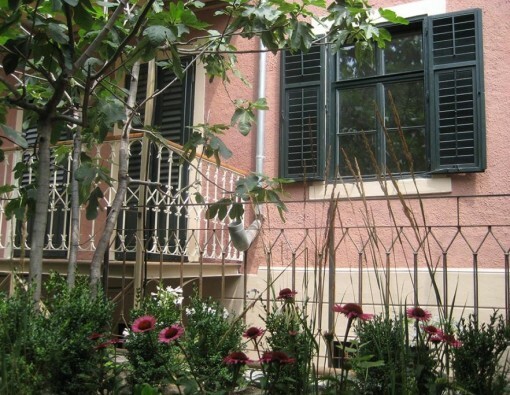 All guests are welcome to make use of the cosy communal living room and the idyllic small garden. Privacy conditions read and agreed on. A haven of history for all those looking for a very special place to go. 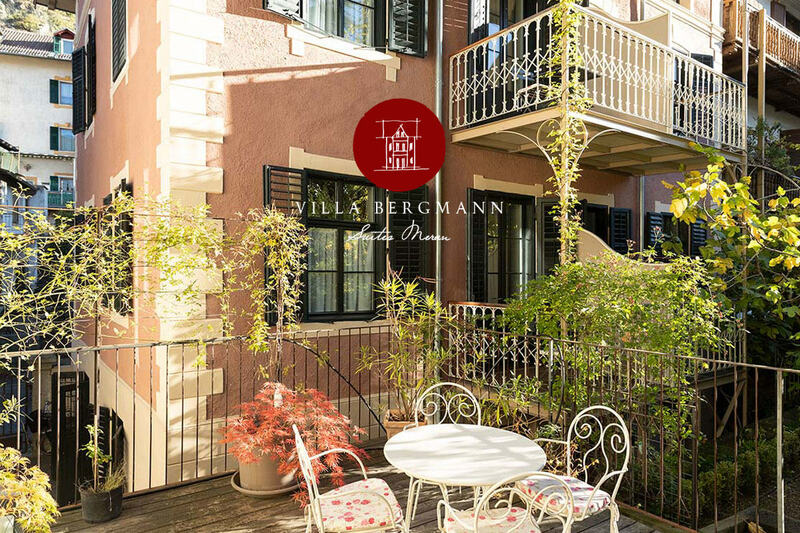 Experience all the different facets and moods of Merano, reside in stylish quarters and maintain your independence – that’s the idea behind the Villa Bergmann suites. 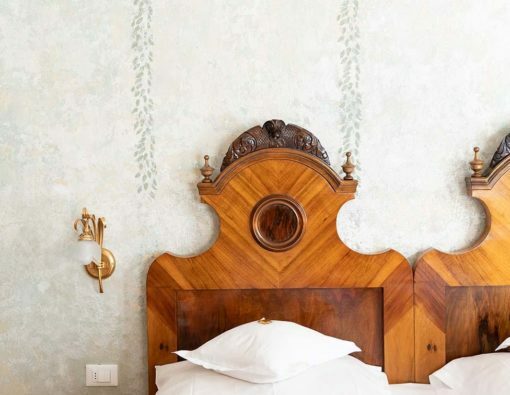 Cultural highlights, exuberant city life, exceptional cuisine, countless events, the breath-taking beauty of nature through the shifting seasons – all these are hallmarks of Merano. 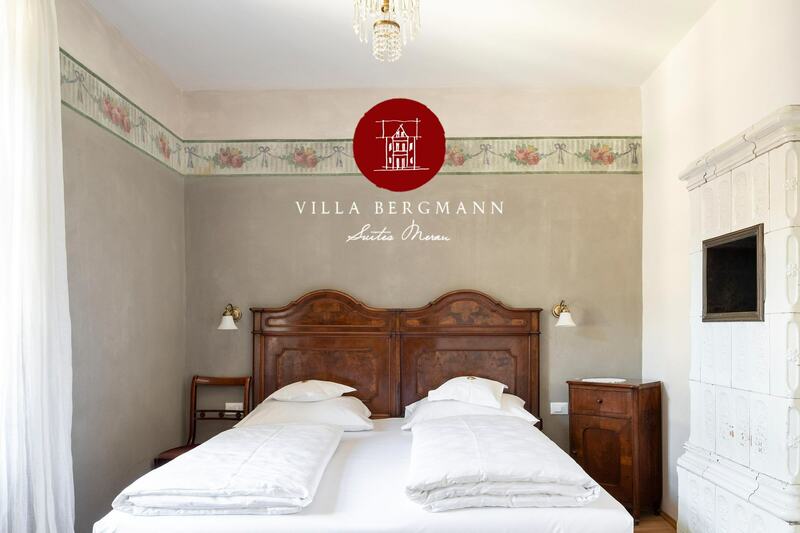 And right at the heart of it all is Villa Bergmann. A sparkling gem for those who want to get a taste of all this abundance. 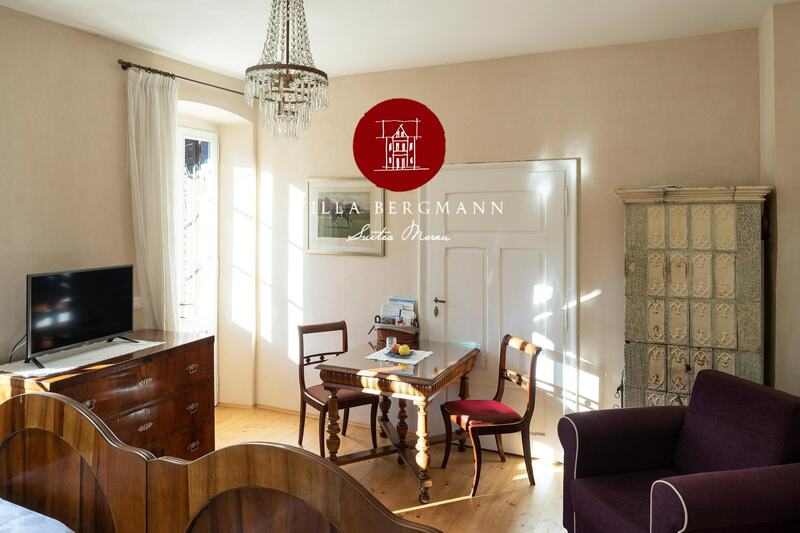 Built in 1873 by the architect Karl Moeser in historicist style and extensively yet lovingly restored in 2014 with an eye to detail, Villa Bergmann now offers all modern conveniences coupled with understated luxury. The original floorboards, wooden doors, windows and tiled fireplaces have all been carefully restored and now tell stories of bygone days, exuding a breath of nostalgia. 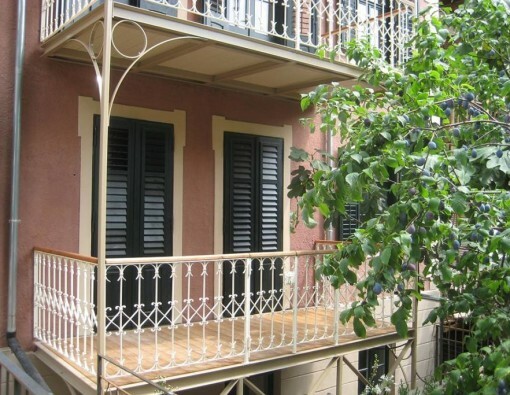 For the sake of sustainability and authenticity, only local materials were used during restoration. Combined with clear contours and modern, minimalist design, the house has been transformed into an elegant holiday accommodation with a character of its own. The overall atmosphere is one of privacy. 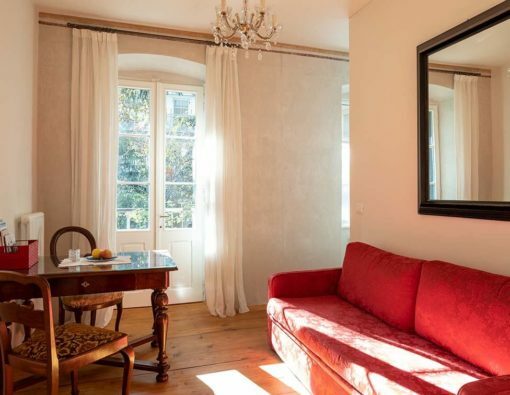 All guests are welcome to use the charming communal living room or sit outside in the beautiful landscaped garden. 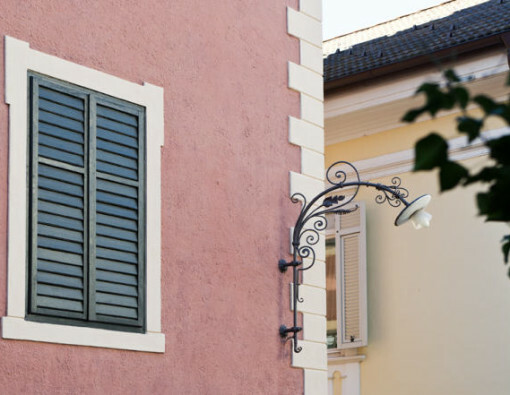 The charming town of Merano is full of cultural diversity, and can look back over an eventful past. Traces of its traditional status as a spa resort can be seen everywhere; Belle Époque blends with contemporary architecture throughout the centre of the town and down along the river Passer. The mediaeval arcades house elegant boutiques, delicatessens and speciality shops, as well as numerous excellent restaurants. 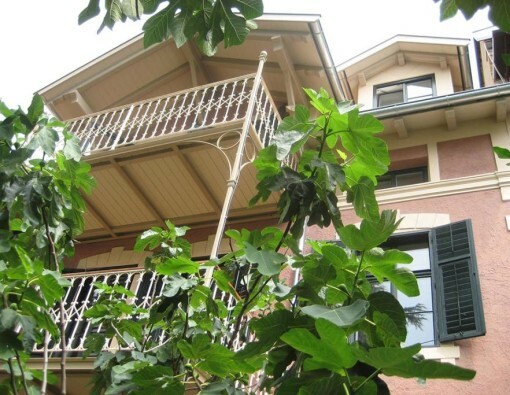 All year through, Merano hosts top international events. One special highlight is the Merano Music Weeks Festival – an internationally renowned classic music event. This is followed by the smaller yet equally renowned MeranoJazz Festival. Last but not least, the town hosts an annual Merano Wine Festival, one of the foremost food & wine events in all Europe. In spring and summer, the Gardens of Trauttmannsdorff Castle are well worth a visit. Here in the extensive grounds around the castle, you will find plants from all over the world. And during the summer months, the gardens open for wonderful evening open air concerts with international stars. During the summer, holiday-makers can cool off in the thermal baths in Merano, which are set in an extensive 50,000m² park. With various outdoor pools and a large park area for sunbathing, there’s something for everyone here. And during the winter, visitors can relax and enjoy the exclusive sauna area and the large indoor thermal baths. Bolzano, the vibrant capital city of the province of South Tyrol, is a veritable melting pot of cultures and contrasts. Here, life is played out on the streets. 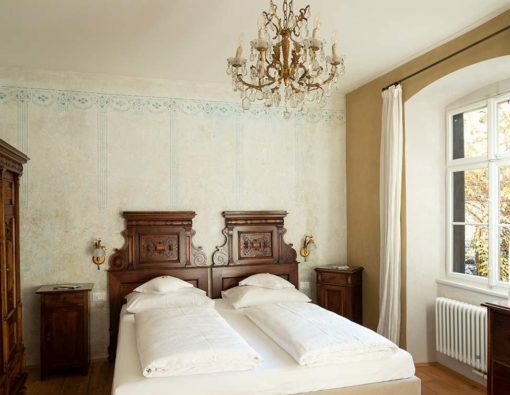 The city is hallmarked by its countless restaurants, trattorias, bars and cafés, its beautiful squares, winding alleys and delightful lanes, its unforgettable historic centre, numerous museums, the famous Bolzano fruit market and umpteen stylish boutiques. Further south, there are many further destinations which await discovery. Lake Garda, for instance, is just an hour and a half’s drive from Merano. So also is the enchanting town of Verona with its world famous arena, its tiny passageways and its beautiful piazzas.